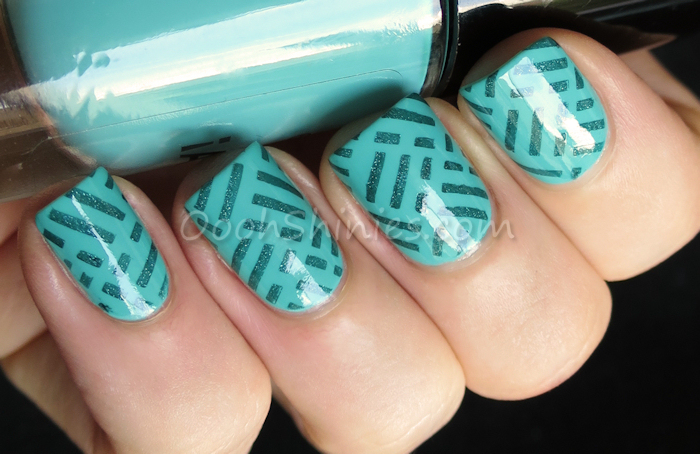 I've done a couple of more creative manis in the past month, with stamping decals and such, but I never get tired of a simple tone-on-tone either! And I had a nice matte polish standing on my desk, untried, so I teamed it up with an A England polish and one of these pretty DRK Nails plates, to create this simple striped mani. 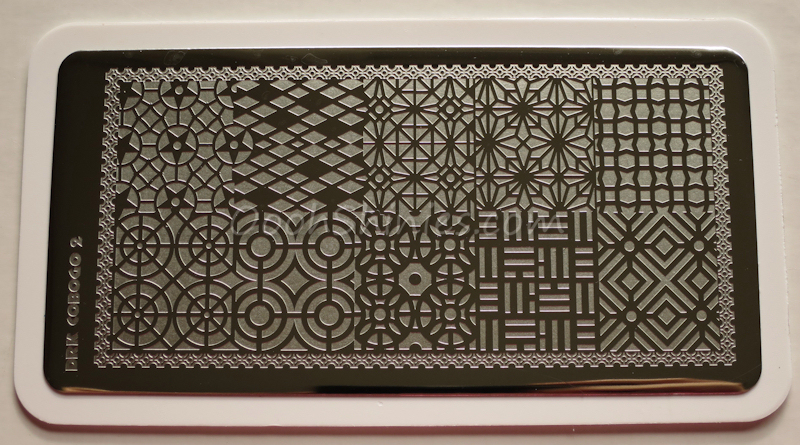 These plates are from the Cobogo line, and the metal part of the plates measures 6x12 cm. I already showed you 2 other DRK Nails plates in this size in a previous post, and shared about more info about them too. 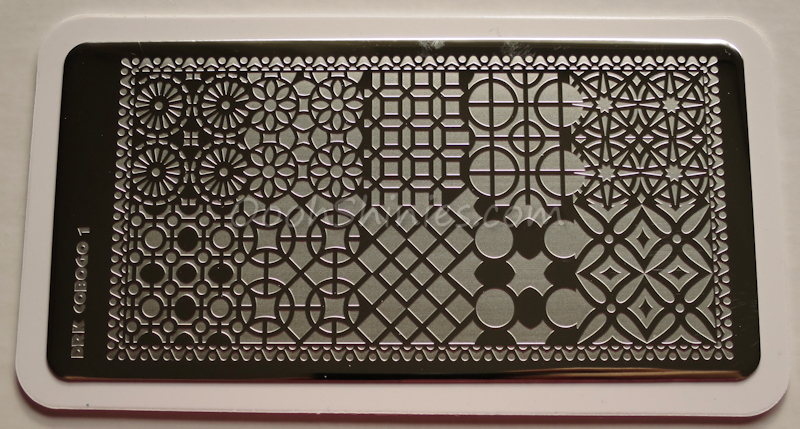 Check out that post for more detailed info :) DRK Nails has a bunch of these 6x12 cm plates (besides their XL plates), and matching cases for these rectangular plates, you can find all of that right here! I started with 2 coats of a matte polish, that looks a lot more turquoise green than my camera picks up. I used to struggle with purples, which this camera doesn't have an issue with, but oh, my beloved teals and greens... :( I just can't get them in the right shade, they're often way too blue! If you have any tips on that, I'd love to hear them, my attempts so far were all in vain! Essence Macarena Mint with A England Saint George and DRK Nails Cobogo 2.